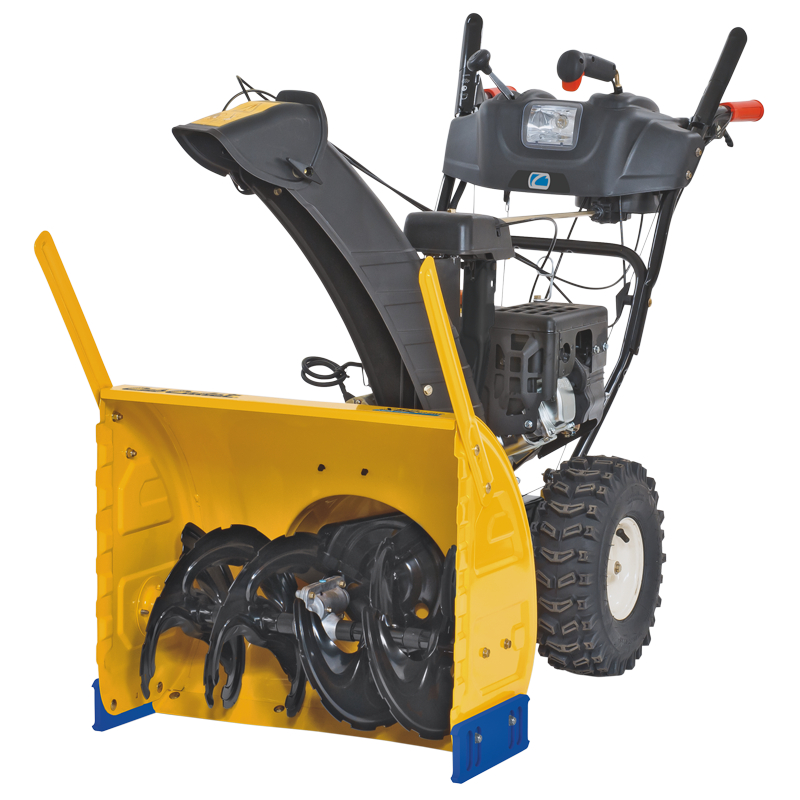 All our snow throwers are equipped with a spring loaded finger guard, which prevents you from injuries but can tilt back when heavy snow loads need to get through. 4-way chute control allows you to quickly and effortlessly change the direction and pitch of the snow you throw with one hand, so you don’t waste time. You will spend less time in the cold as you control where you want the snow to be thrown. This specially designed auger system works like a paddle and shovels the snow into the auger housing and then throws it out over the discharge chute. 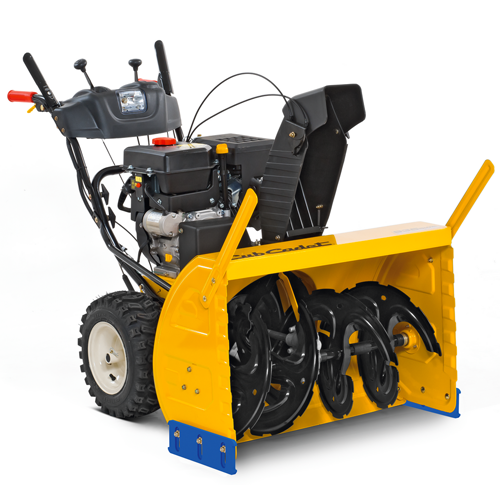 The auger has a rubber lip to avoid damaging the pavement. Instead of one shear pin per auger half, the „Xtreme Auger“ has one shear pin in each individual Xtreme Auger segment. This reduces maintenance costs. Snow and ice are „chopped“ up by the auger blades before being fed into the impeller, which transfers the snow through the chute. Advanced technology for better performance. The COOL BLUE skid shoes out of special plastic, widely prevent scratches and abrasions on the ground. The space between the shave plate and the ground can be adjusted by raising or lowering the skid shoes. Adjust the throwing distance and direction conveniently with the 4-way joystick on the dashboard during operation. Keep your hands warm to finish the job in comfort! The handles stay warm and you can keep working through the coldest weather.